In 2008, Calix unveiled its Calix-Occam 700GX — an optical network terminal designed to provide active Ethernet, GPON and BPON in a single device. Its goal is to give your network the best options for FTTP deployment, allowing for you to flexibly move between each specific layout. One innovative feature of the Calix-Occam 700GX is an industry-first capability for auto-detection in an ONT to match technology and protocols to the application in use, all without needing an equipment change or to roll a truck to your location. Push your GPON or BPON over the same ONT to meet customer demands with standards-based solutions that can grow with your network. 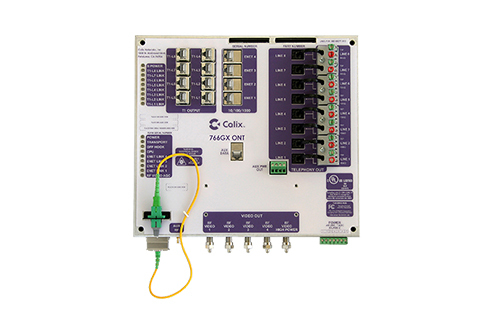 Worldwide Supply offers new and used Calix-Occam 700GX ONTs that can help improve the profitability of your network. Core features of the 700GX are designed for this revenue focus, including the ability to remotely provision and convert subscribers across different standards without needing to make an upgrade or move to the customer’s location. A used Calix-Occam 700GX can also support a wide range of GE switches and routers, plus deliver dedicated fiber access via the Active Ethernet mode. This mode could reach 40 km, so your customers can be reached from core and central locations. All you need is one ONT for today’s leading standards and customer demands. It’s the future of residential and business services, and a refurbished Calix-Occam 700GX is one way you can take advantage of that right away.